Islamabad, March 26: Prime Minister Imran Khan has said Indo-Pak relations would remain tense till the general elections in India are over, adding he feared "another misadventure" by Pakistan's eastern neighbour. Tensions between India and Pakistan escalated after the February 14 attack by Pakistan-based Jaish-e-Mohammed in Pulwama. Amid mounting outrage, the Indian Air Force carried out a counter-terror operation, hitting what it said was a JeM training camp in Balakot, deep inside Pakistan on February 26. The next day, Pakistan Air Force retaliated and downed a MiG-21 in an aerial combat and captured an Indian pilot, who was handed over to India later. Khan said shadows of war were still hovering over Pakistan and India as Prime Minister Narendra Modi's administration could go for "another misadventure" before the general elections. N Chandrababu Naidu Trusts Imran Khan, Not PM Narendra Modi, Says Amit Shah. "The danger is not over. The situation will remain tense till forthcoming general elections in India. 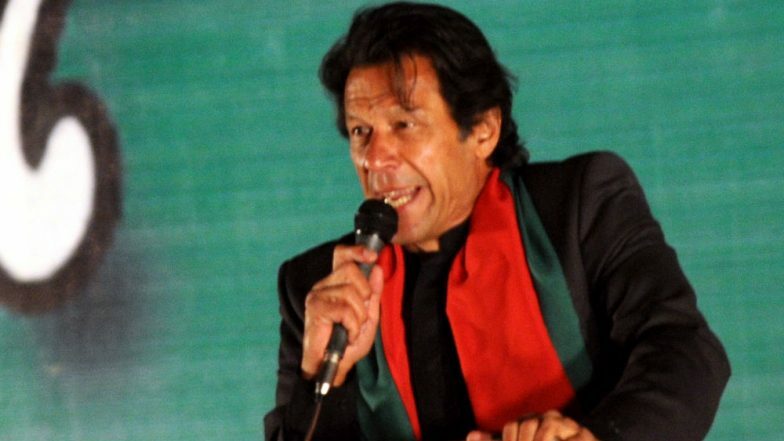 We are already prepared to avert any aggression from India," Dawn quoted Khan as saying. Khan also claimed that he cancelled his scheduled meeting with the Taliban in Islamabad due to "concerns" expressed by the Afghan government. The Taliban last month said that its representatives would visit Islamabad to meet Prime Minister Khan on February 18. Media reports later suggested that the Taliban called off the meeting as most of the members of their negotiating team could not travel to Pakistan due to sanctions imposed on them by the US and the United Nations.